Elegance and Luxury is an understatement for this urbane classy decorative pillow. 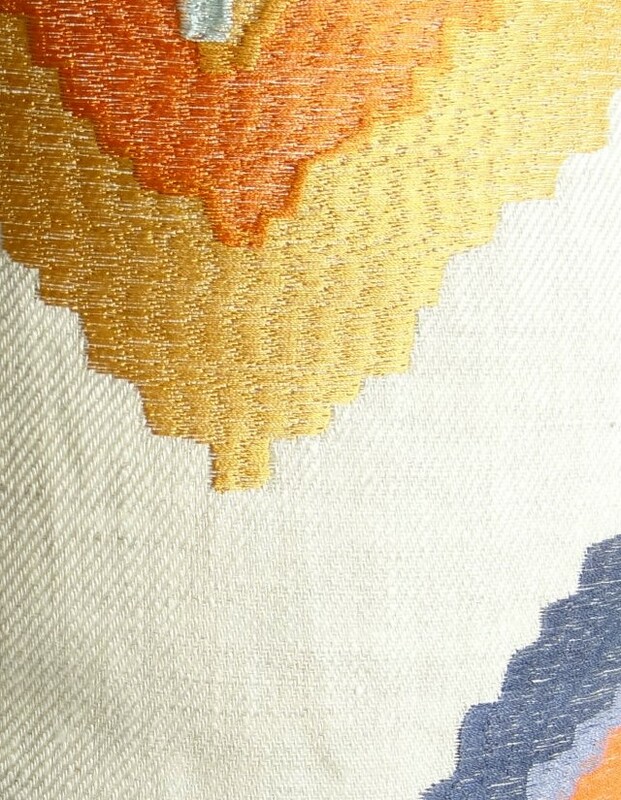 Bring sophistication and cheer to any room with this plutus isabeau purple orange and white handmade luxury pillow. The fabric is a blend of Linen.